If you find a lower fuel price elsewhere for a 101520253035404550T+ delivery we will beat it or we will send you a box of local craft beer or some bubbly. It only takes a couple of minutes to get your delivery of biomass fuel to your Rhondda Cynon Taff site setup. Tell us what fuel you need, where and when you need it. We'll compare the best suppliers for your site and requirements. We'll get you the most competitive quote, same business day. We will schedule your fast and efficient biomass fuel delivery. The financial return from your biomass boiler hinges on the quality of fuel you feed into your system. The wrong fuel could not only prevent an RHI payout due to non-BSL compliance, it could physically damage your boiler. We are bringing more than 15 years of industry leadership to bear in our provision of biomass fuel brokerage to Rhondda Cynon Taff's commercial operators. We will select the most effective fuel for you and have it delivered in the most efficient way to maximise your return. We have built an enviable portfolio of the best BSL certified fuel suppliers for Rhondda Cynon Taff and the UK, and we are on your side when it comes to price. It's the right fuel for you at the best price you'll find. ready to get the best price? WHY BUY FUEL FROM US? As industry leading biomass experts, our vast portfolio of fuel suppliers generate economies of scale which allow us to pass cost-savings onto you. We don't sell cheap wood chip or wood pellet (which will ruin your boiler), we sell the best fuel at the best price to give you the greatest ROI from your system. Our group of companies has been involved in more than 1,400 biomass boiler installations and we currently service more than 600 biomass boilers across the nation, including some of the nations largest biomass technology adopters. We service and maintain every aspect of multiple brands of biomass heating and power generation systems in Rhondda Cynon Taff and across the UK. We know how to attain optimimum performance through a joined up approach to wood fuel supply, service and maintenance. It all starts with your biomass fuel! Our biomass fuel delivery partners are situated in every area of the UK giving us - and Rhondda Cynon Taff's biomass boiler owners - unrivalled access to the best biomass fuel in the local Rhondda Cynon Taff area. We only work with the most reputable biomass fuel supply partners to get BSL certified wood chip and wood pellet supplied to our customers in Rhondda Cynon Taff and around the UK. DELIVERING VALUE, NOT JUST FUEL. Our fuel supply customers have the following makes of boiler. We deliver biomass services to some of the biggest names in the UK. Our extensive network of biomass fuel depots means we can deliver wood chip fuel (bagged and tipped) and wood pellet fuel (bagged or blown) to biomass boiler owners all across Rhondda Cynon Taff. We don't just deliver wood fuel to Rhondda Cynon Taff, we offer a suite of services to commercial boiler owners to help them maximise the return on investment from their biomass boiler. We can monitor your fuel supply in realtime and take on all of the hassle of wood chip or wood pellet supply level management. Fed up with constantly scouring for the best prices every time? We can provide more competitive pricing with a supply contract in place and do it all for you. We will ensure that your fuel stores and fuel transport equipment are safe and running efficiently, including services to silos, augers, conveyors, walking floors. We can purchase your boiler for a lump sum and take on full responsibility for its operation. You just pay an agreed amount per kWh of heat energy. IS YOUR biomass fuel FROM Rhondda Cynon Taff? The fuel is not necessarily from a Rhondda Cynon Taff based producer, however the fuel is always sourced from responsible producers, and we try and minimise the carbon footprint associated with delivery from afar. Depending on your fuel specifications, your wood fuel may not always be delivered from the depot nearest to you. Our headquarters is in Melton Mowbray, Leicestershire. Our biomass fuel supply network operates from 20 distribution points across the UK, so we are never far from our customers. 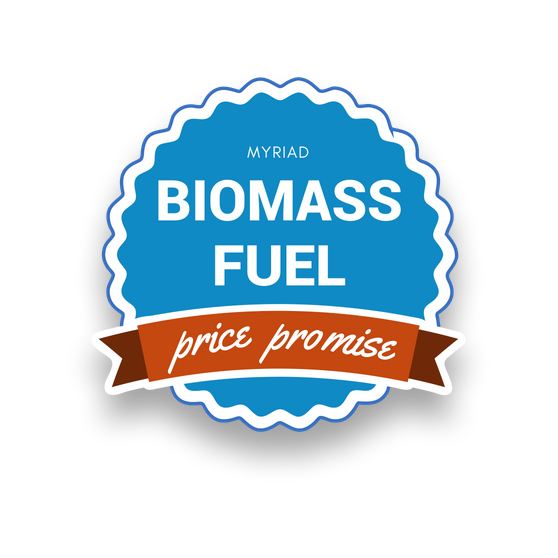 HOW MUCH DOES YOUR BIOMASS FUEL COST? Bundled service status: We can offer more competitive rates to customers which have an ongoing fuel supply contract or also have a service/maintenance contract with our service arm. HOW DO YOU PROVIDE THE MOST COMPETITIVE QUOTES? We compare prices from the UK's leading certified producers and suppliers of wood chip and wood pellet in near real-time. Our long standing reputation for excellence in the biomass industry means that the best suppliers want to work with us, we're able to share that advantage with you. WILL YOU BEAT A COMPETITOR QUOTE? Yes we will beat any quote for deliveries of 10T or more. Just send us full details of the quote you have received and our team will provide a better quote. Every penny counts! ARE YOUR WOOD PELLETS CERTIFIED ON THE BIOMASS SUPPLIERS LIST (BSL)? 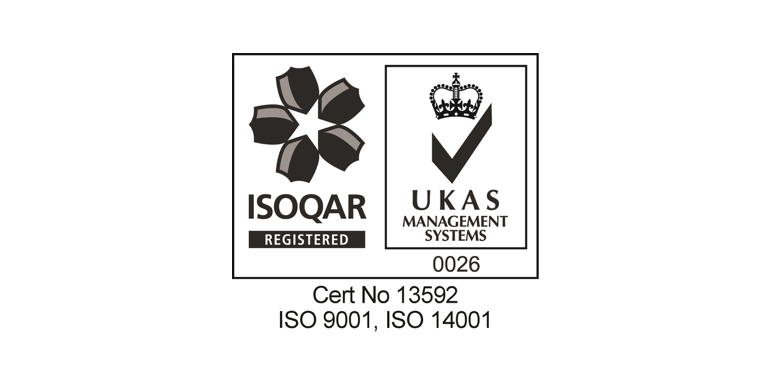 All of the wood fuel you purchase from us is from suppliers on the BSL and certified by the appropriate bodies and to the relevant standards as outlined on this page. I DON'T KNOW WHAT FUEL I NEED, CAN YOU HELP ME? Of course we can. Just pick up the phone and speak to one of our friendly service desk members and we will help you determine the best biomass fuel options for your installation and business requirements. WHAT SIZE ARE YOUR WOOD PELLETS? 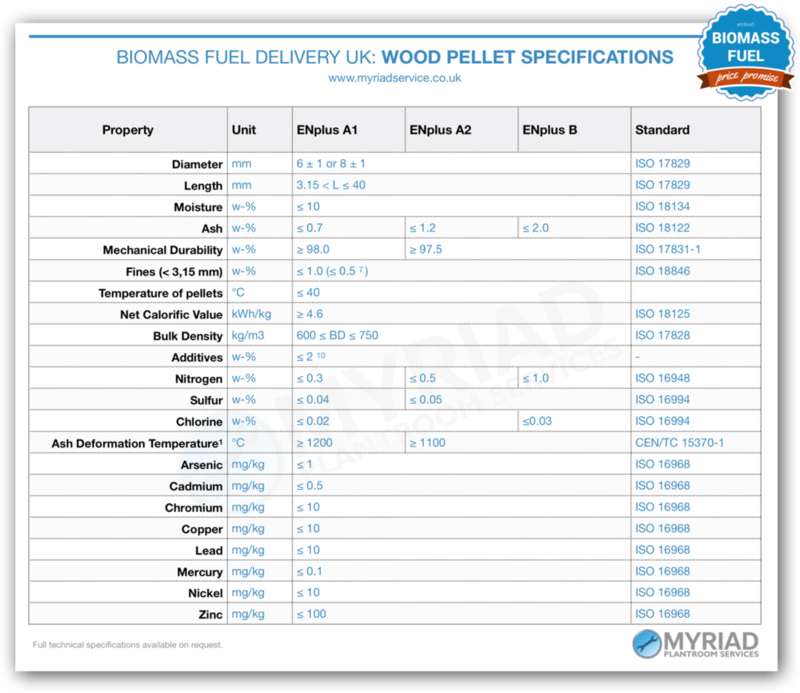 Our wood pellets are typically ENplus A1; these have a diameter of 6mm, and a length of between 3.15 - 40mm (with <1% up to 45mm). WHAT GRADES OF WOOD CHIP DO YOU OFFER? We offer a vast range of wood chip with varying moisture content and particle size. If you do not understand the technical specifications on this page, feel free to call us for fuel advice. I OWN A BUSINESS, WILL THE FUEL DELIVERY DISRUPT OUR OPERATIONS? We endeavour to minimise disruption to your business. Our delivery partners use highly trained delivery operatives who are sensitive to the requirement for a discrete and efficient delivery experience. If you require a special accommodation due to the nature of your business operations, we're ready to help arrange a delivery that suits you. WHAT ARE THE DELIVERY OPTIONS FOR WOOD CHIP TO MY Rhondda Cynon Taff SITE? Tipping is the most common method for wood chip delivery to Rhondda Cynon Taff. However even though it is rare, we are also able to offer blown chip delivery in some circumstances. We are equipped to deal with whatever system and site constraints you have, give us a call and we'll design the optimal delivery solution for your site. WHAT ARE THE DELIVERY OPTIONS FOR WOOD PELLET TO MY Rhondda Cynon Taff SITE? Blown delivery is our most common method for wood pellet delivery to Rhondda Cynon Taff. You may also request bagged chip which comes palletised. In some circumstances we can also tip pellet, although this should be handled with care so as to not create an unacceptable amount of fines in the delivery process.